The island of St Thomas is not only one of the most beautiful spots of land on the Caribbean Sea. 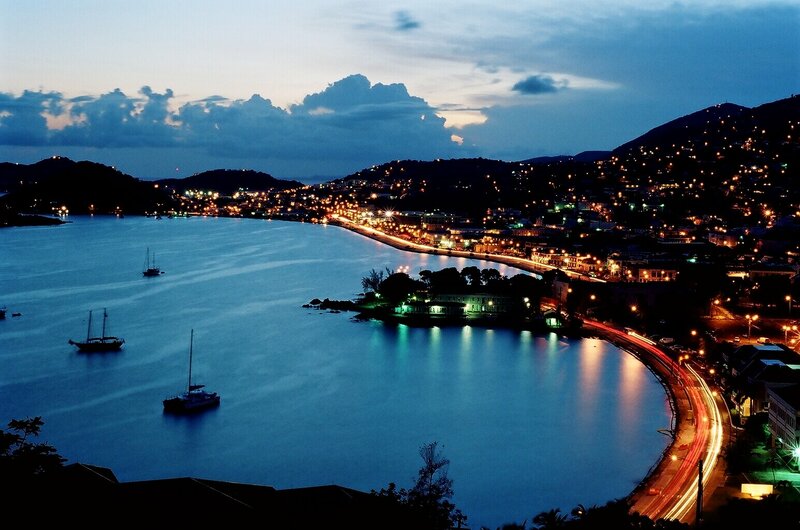 St Thomas resorts also promise tourists sophistication, relaxation, and class vacationing. All of these for decent prices! Spending a pristine holiday in St Thomas resorts thus depends only on what you, the tourist, would like from the island. Of course, because St Thomas is part of the Virgin Isles, the fun isn’t only limited to this little wobbly shaped piece of paradise. Tourists can easily venture to one of the other two US Virgin Isles – St Croix and St John. Or maybe even “defect” to the British and visit their Virgin Isles, Tortola, Anegada, or others. However, we’re here to shed light as to why some may want to choose to stay a little while on St Thomas and in St Thomas resorts. Before we move on to analyzing the dos and don’ts of staying in St Thomas resorts, we have to answer a very simple but important question: “where is St Thomas?”. As we’ve already said, St Thomas is located in the US Virgin Isles. The islands are located to the west of the British Virgin Isles. The whole archipelago is placed to the east of the Caribbean Sea, east of the Dominican Republic and San Juan, and to the northwest of Antigua and Barbuda. St Thomas is the western-most island of the group. Now that we’ve settled the exact spot, we should also talk about getting to the US Virgin Isles. There are direct flights to the islands from just about any major US city. In the flight panel, St Thomas is abbreviated as STT. One can board a plane to the island from New York, Miami, Boston, San Juan, Atlanta, Chicago, Philadelphia, Dulles, or Newark. Alternatively, tourists have the option of booking a flight to St Cruz and then getting a flight with a local airline to the island. Local companies such as Air St Thomas provide transportation to and from all of the islands in the Caribbean. Tourist deals for many St Thomas resorts have flights tickets included. Offers for St Thomas hotels or St Thomas resorts will more than often include one or more of the following perks for relaxation. We know some tourists may be left wondering what to do when on their tropical island vacation. Believe it or not, lying on the beach waiting for the sun to slowly tan your skin isn’t the only thing to do on your St Thomas excursion. St Thomas all inclusive resorts will be more than happy to guide tourists towards one or more of the following attractions. Go to one of the ten beaches. Along the coast of the 32-square mile island tourists will find about ten beaches. The most famous of these, known as Sapphire Beach, is renowned for its crystal clear blue waters that instill serenity and peace into the minds of everyone. Private beaches owned by St Thomas resorts will make sure that you and your friends or family can forget all those tiresome worksheets and just relax for a change. Take the St Thomas Skyride. What could be more exciting than hanging around at 700 feet in the air over a tropical island? Honestly, not much. The St Thomas Skyride rises above the city of Charlotte Amalie, shooting to the sky with a maximum of 24 passengers every seven minutes. If you don’t know how to get to the ride, ask your St Thomas resorts personnel. Visit the Butterfly Garden. If you like colorful butterflies (who doesn’t? ), don’t forget to check out the Butterfly Garden while you’re in St Thomas. Located near the docks in Havensight Mall, the gardens are one of the favorite destinations for tourists. A small tip: if you’re not stopping by St Thomas in a cruise ship and are stationed at one of the various St Thomas Resorts, it would be best to visit the gardens while there aren’t any cruise ships docked, for obvious reasons. See the Coral World. The Coral World Ocean Park is one of the most amazing attractions on St Thomas. This park isn’t simply an underwater adventure for the coral lovers. It also offers travelers the chance to see many interesting species of fish, turtles, stingrays, and even sharks! The ocean park also has an observatory and 21 separate aquariums filled with wondrous marine life. Explore the Magic Ice Gallery. A St Thomas resorts excursion wouldn’t be complete unless tourists visit the Magic Ice Gallery. It’s an uncanny sight: going from the hot tropical weather into the depths of an ice gallery with temperatures below zero. However, the sculptures there are well worth a look. Intricate figures of snow and ice await curious adventurers. And the best parts is that you don’t even need to bring winter clothes with you, as this interesting St Thomas attraction provides these for all guests. Immerse into your personal submarine. It’s not really a submarine, but it does submerge into water, and it’s also a great deal of fun. It’s called the Underwater Power Scooter, and it’s probably the most entertaining activity from the whole of the Caribbean Sea. If you’re going to go to St Thomas, you’re probably also going to want a nice place to stay. The following are the best all inclusive resorts in St Thomas. Voted by approximately 324 reviewers as the best of all the St Thomas resorts, Point Pleasant Resort St Thomas has services to match its five-star rating. The rooms are equipped with just about anything a tourist could want or need. The St Thomas hotel personnel is trained in all major languages of the world and can satisfy a customer’s every whim. Best features of Point Pleasant Resort St Thomas: shuttle bus service, laundry, concierge. About 1,093 reviewers have voted this as one of the coolest of St Thomas resorts. Given that it’s equipped with a spa, a fitness center, free parking, and even a room specially designed for children, this St Thomas hotel seems to be the perfect fit for families vacationing in the famous Virgin Island. Best features of Marriott’s Frenchman’s Cove: children activities and care staff, meeting rooms, laundry. It’s been voted as the number three of St Thomas Resorts and also awarded a medal for excellence. The Ritz- Carlton is the best retreat for couples going on their honeymoon or for business trips with the company. Best Features of the Ritz-Carlton: banquet room, kid friendly staff, concierge. Hey Buddy!, I found this information for you: "St Thomas Resorts for a Pristine Time". Here is the website link: https://caribbeansbest.org/st-thomas-resorts/. Thank you.